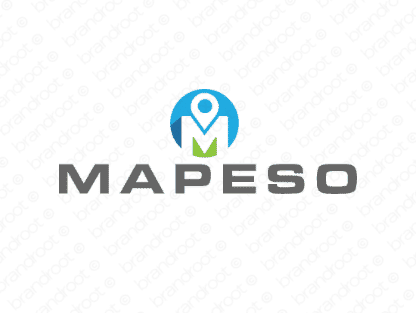 Brand mapeso is for sale on Brandroot.com! Starting with the word "map", this serene sounding name will guide your business to success. Mapeso delivers a sleek sense of sophistication, an ideal fit for search and online reference services or innovative mapping technologies and apps. You will have full ownership and rights to Mapeso.com. One of our professional Brandroot representatives will contact you and walk you through the entire transfer process.